We are proud to offer VibraWav therapy in house. Maintain fitness, manage weight, and get gentle relief for joint and muscular aches. A 10 minute vibration session provides similar health benefits to 60 minutes of traditional cardiovascular, neuromuscular, and flexibility exercise training. 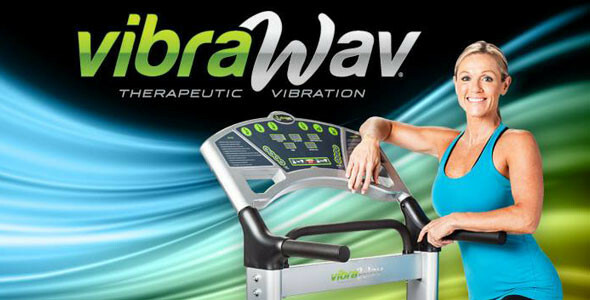 VibraWav provides a revolutionary form of low-impact exercise that promotes health and fitness with less time and effort. The vibration does the work and the body simply responds, melting away fat, relieving chronic pain, increasing bone density, and improving overall well-being. Ideal for all ages, lifestyles and physical abilities. Contact us today to try VibraWav for yourself.